WE MAY BE BLACK SHEEP BUT WE ARE LIONS! END OF 2018 RECAP, AND WHAT A YEAR IT’S BEEN! For many from the outside looking in, this is how it appears when I consider the achievements of so many of the is incredible group, the achievements have been sensational even in defeat, which says a lot for the calibre and mental attitude of the Flock! Which brings me back almost to this little sketch I thew out there at the beginning of the year. There have been so many people taking on the ethos and values of this group and continuing to push the boundaries way beyond comfort! When I first conceived the idea of this project as the legacy of The 100 Peaks Challenge I wasn’t sure which direction it would take or where it was heading and if truth be told, I’m still a little unsure. However, with the creation of The Black Sheep Marathon, put together by John Nicholson and the coming of two more gruelling challenges to compliment it, looming on the horizon, and with the desire of so many still determined to push themselves as they continue to do, maybe the direction will be a little clearer come the end of 2019! Let’s start with The Black Sheep Marathon the idea brought to fruition by John Nicholson. The aim is to ascend/descend Jacobs Ladder at the start of the Pennine Way in Edale 20 times, each rep is equivalent to a mile, so 20 x Reps plus 3 miles to the start and back meant, if completed, measures (pretty much) the marathon distance. There were quite a few ‘originals’ who bravely embraced John's idea taking it on and although ultimately the distance wasn’t hit, serious markers were put down with the Machine Mr Hunter recording 10 reps Fully Loaded and Iain Grant notching up 12 Clean Fatigue. However, the bar has since been raised significantly since with the Marathon distance now completed in both the Clean Fatigue and Loaded categories. Paul Heath became the first person to claim the Full Marathon Distance (Clean Fatigue) with a time of 8:31:26 which was followed up by irrepressible Rob Paine claiming the Loaded in 11:39:16. Special mention must also be reserved for Steve Ellam who valiantly recorded 11 reps Loaded. We look forward to seeing you at the second official running of the event over the weekend of 15/16th June 2019. On a personal level for so many too, reading the page below reads like a show reel of awesomeness! There have been so many stand out performances this year, and not just at single events, for many at multiple events, including three of our number running on consecutive days for a calendar month, Mick Henderson, Paul Southernwood and Kimberley Treece. We’ve had some fantastic blogs written by Matt Walby, Tracy Purnell, documenting her own personal challenge, 40 miles for 40 years. Bas Kuiper piled in to, as did John Nicholson, writing about the first Black Sheep Marathon. Mick Henderson penned a very personal blog about dealing with loss and the writing was finished off with a great read from the wonderful Anna Cook. Julie Valentine, Paul, Kimi, Chris Dougherty, Twiggy, Peter Lavelle, James Lamb, Alex Forryan, Mick and the Brothers Nicholson feature constantly and consistently throughout the year, as does Steve Ellam, not just on a personal level for him, but he’s now got his wife Terri involved too and is guiding her along the way. It didn’t want this to be an exhaustive piece as most of the success enjoyed throughout the year can be scrolled through, but what I did want it to be was a reminder of how incredible you all are and as this year draws to a close, I wish you all nothing but a wonderful Christmas with your families and look forward to seeing how high you’re all aiming in 2019! For quite a while now and as you would have seen we have been playing with the concept of a Black Sheep Ultra and something far more Grizzly, something so utterly disturbing yet painfully exciting than you won’t be able to stop wetting yourself due to happiness and fear! It’s very hard nowadays in a world full of Ultras with so much choice to create a unique experience, but we’re hopeful that with the Ultra you will get something as demanding as it is beautiful - the date for the Ultra will be released SOON. The Grizzly as we’ve stated previously will be kept firmly under wraps until you arrive to take it on, again the date for this will be released soon. We have also already sold 40 Black Sheep Patches, therefore we have 60 left, so if you want one, click the link and get yours on your kit! There is also a massive update coming with so many of you guys crushing various events over the last few months and with 2019 looming it’s also time to start thinking about those GOALS for next year! There are some blogs to come too, so keep your eyes open for when they arrive! It's all a little bit crazy at the moment so playing catch up again! It's been a month of awesome achievements, as is the norm really! However, worthy mentions need to be made, although I'll let Paul's words do the talking in the first instance! "A week on from the GB24 Ultra, Summer decided to have a day off just in time for the Ride London-Surrey 100. 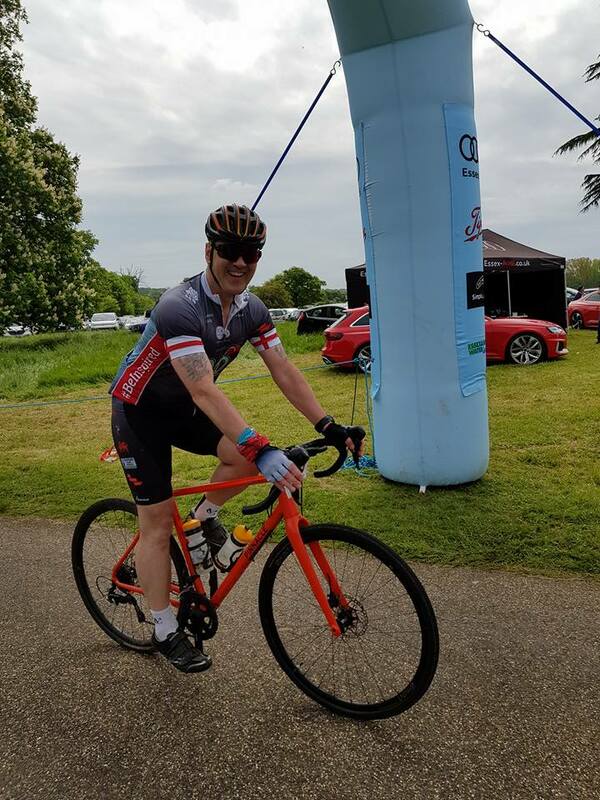 This annual event starts in the Olympic Park at Stratford, makes its' way out into rural Surrey taking in some testing climbs before returning to the capital, finishing on the Mall in front of Buckingham Palace. The weather made this one a bit of a war of attrition. Gusty wind, non-stop rain, and debris-covered roads ensured that it would be a day to remember. My main goal was to just stay on the bike, having failed to do so in spectacular fashion last year! Plenty of spills this year, but thankfully not by me this time. Ride completed in just over 6 hours, not a quick time by any means, but all in all a satisfactory conclusion. Next up for me, a BUSY September!!!" Paul took on GB24 with 'Twiggy' and Chris Dougherty completing eight 10km laps, going through the night before calling it a day at 7am. (to preserve himself for Ride London the following week), earning Silver Medals, as did Jules (on her birthday) completing 9 laps (68miles) in 18 hours, not too mention she'd also completed (with the equally awesome Jenny Rawles) the Scott Snowdonia Trail Marathon on 15th July the week before! Mentions too for James Lamb who took part in the 24hr Conti Thunder Run, Mick Henderson for running every day in July (with Paul Southernwood picking up the baton this month, and Kim Treece in September - who's going to step up in October?). I must also save mention for Alex Forryan who I'm sure many of you will know, but I had the wonderful pleasure of his company again for a little TAB over at Ivinghoe Beacon recently. His progress is staggering and I can honestly say, you genuinely couldn't hope to meet a nicer guy! He wrote about his time on The 100 Peaks for anyone that hasn't read it, it will put things in to perspective of where he was and where he is now! And last but definitely not least Matt Walby for continuing to push his boundaries and driving to be better and inspiring others in the process too! You guys are truly amazing, continue inspiring others and doing what you do! My sincere apologies if I've missed anyone, let me know and I'll get that sorted! Ok so a little bit of catching up to do! It's been a busy few weeks!! 9th June saw Karl Rushen, Mick Henderson, James and John 'GB' Nicholson take on Endure24 at Wasing Park nr. Reading, they finished 31st in the Mens Small Team Category running 27 laps (135miles) during the course of the 24hrs. It's an event we definitely hope to be supporting on a much grander scale next year, although it will have to be Leeds as the 2nd Edition of the Black Sheep Marathon will be taking place on 15th June 2019 (the same day as Endure24 Reading). Which leads me on nicely to the Inaugural Black Sheep Marathon, an idea conceived and then in enormous detail brought to fruition by John Nicholson. The aim was to ascend/descend Jacobs Ladder at the start of the Pennine Way in Edale, each rep is equivalent to a mile, so 20 x Reps plus 3 miles to the start and back meant, if it was completed, would measure the marathon distance. There were a fair few victims who embraced John's awesome idea and took it on, for that we salute and thank you! Whilst we know the marathon distance wasn't ultimately achieved a serious benchmark has been put down for future editions. Massive respect to you all and especially the Machine Mr H for his 10 reps Fully Loaded and Iain Grant for his 12 Clean Fatigue. 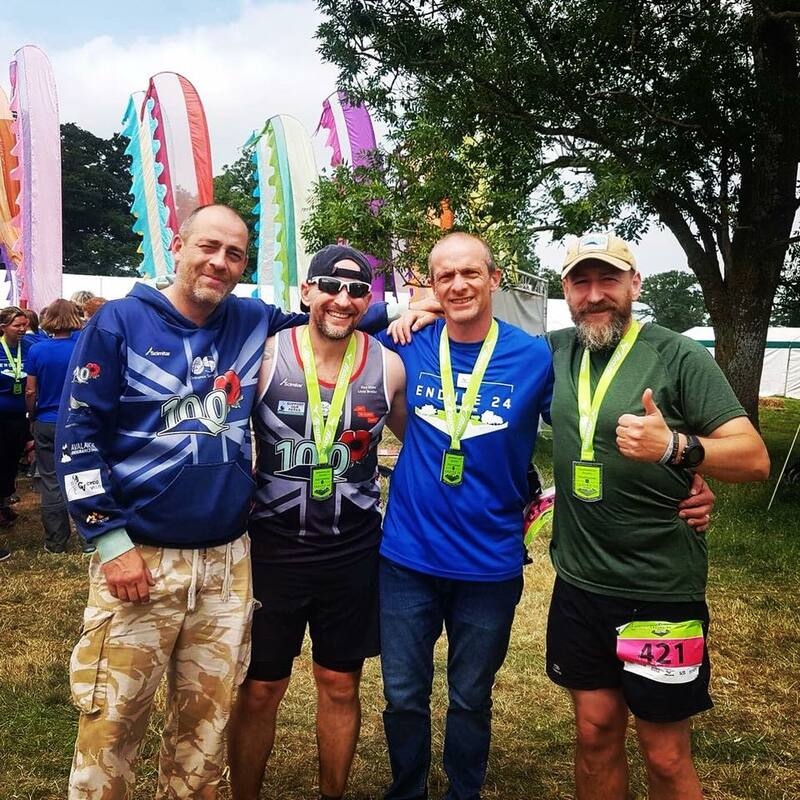 A massive Congrats too, to David Harrison, Kim Treece, Paul Southernwood and John 'GB' Nicholson for taking on and smashing Peak Runners Dambuster 10, Paul had the cheek to describe it as hilly (he lives in Essex), John lives in the Peaks and made sure Paul knew the error of his ways! #7ForLloydy - where do we even begin? We wont elaborate on it here, go to the Blog Post to read the reaction it created, it was incredibly wonderful and heart warming to see the support such a simple idea received. Next up for a fair few is The Fan Dance of which many of the Black Sheep are veterans, but still have personal scores to settle! I'm sure there will be many stories worth sharing next week once the fatigue has gone, so to all of you out in the hills this weekend, stay low, move fast and #DontBeShit! Blue skies everyone, crawl with your eyelids if you have to and we look forward to the stories. IF WE'VE MISSED ANYONE or ANYTHING FROM THIS ROUND UP, PLEASE SHOUT AND WE'LL GET IT RECTIFIED. IF YOU'RE TAKING ON SOMETHING BRUTAL THIS WEEKEND or IN THE COMING WEEKS LET US KNOW! LAST NOTE WE NEED A WILLING VICTIM FOR A JULY BLOG POST - SO DON'T BE SHY!!! Apologies for the lack of celebration, but back to business! The last two weeks have been very busy and successful for a fair few of our Lions in Sheep Clothing! This seems to be a regular occurrence but once again Jules was bagging the big miles at the Chester 100 (let that sink in - 100 miles)! Phenomenal in every sense. Paul and Kim also completed the Liverpool Rock n' Roll Marathon, for Kimi it was her first marathon and in difficult conditions smashed out a very impressive first marathon in just over 5hrs 30, Paul completed the marathon in a little over 4hrs 30. James Allen's nostrils have been appearing every where there's an OCR of late, chief among them the Nuclear Oblivion weekend! Good to see him once again all 'selfietastic' and covered in mud, keep it Mr Allen, your energy is amazing! 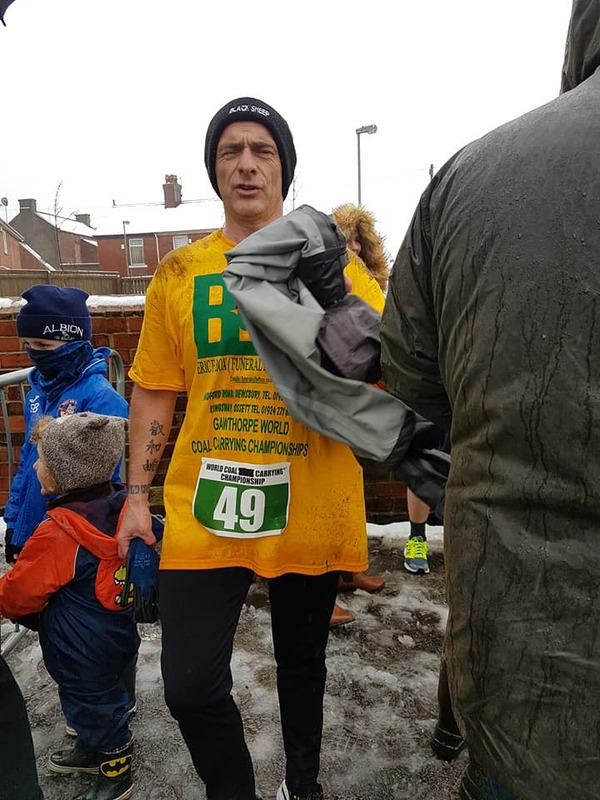 Steve Ellam (alongside The Hunter) took on the Caphouse to Hope Pit Coal Race, and for a time looked like he was gonna bag himself a victory, until the machine kicked in to gear! Niall Armsden, took on the Edinburgh Half Marathon and put in a fantastic effort at a little over 2hrs. 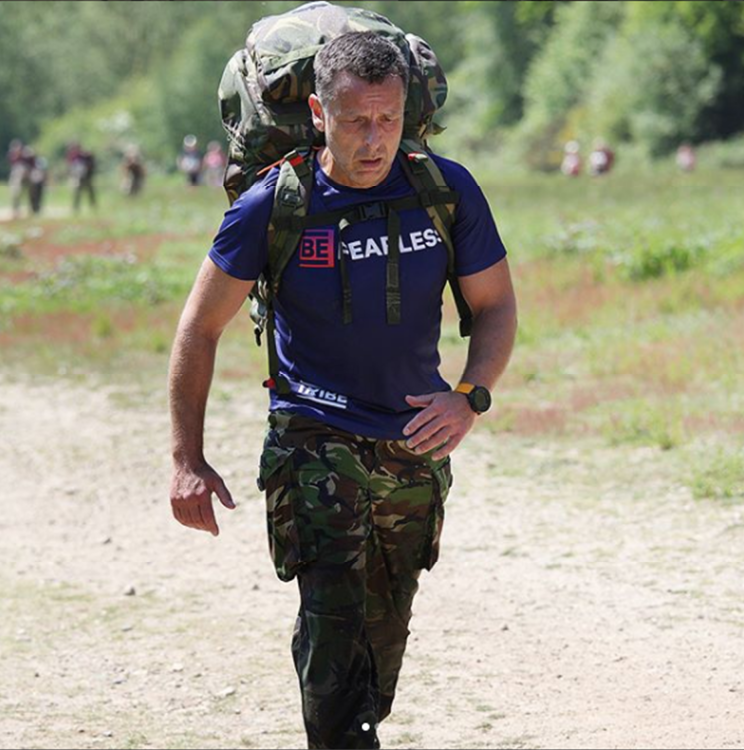 And last but not least a mention for Bas Kuiper, Laura Morabito-Kuiper, Peter Lavelle and Alex Forryan who (alongside a dear friend Rob Paine) took on the Paras'10, an event that means a lot to this group and probably was the starting point for most. Some impressive performances were put down - Bas (2hrs 30), Laura (2hrs 40), Peter (1hr 39) & Alex (2hrs 04), awesome work guys, especially once again it pretty tough conditions, which seems to be par for the course for Colly! You're all amazing guys and my apologies if I've missed anyone or other achievements! Obviously, get in touch if I have and give me both barrels! 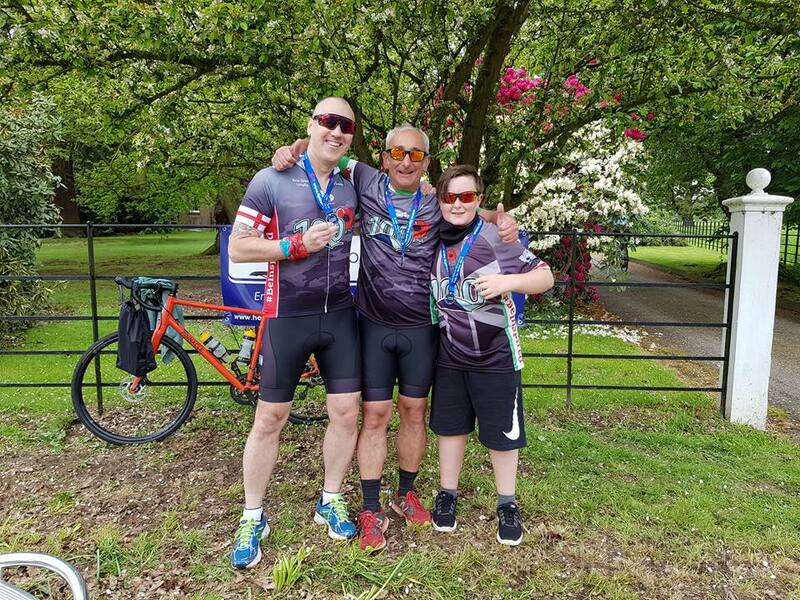 ...Jules once again bagging big miles on the hottest May Day on record at The MK Marathon, also joined by Alex Forryan who was taking on his first Marathon, Paul Southernwood, Twiggy and Reuben who took part in the #RideforHelen2018. 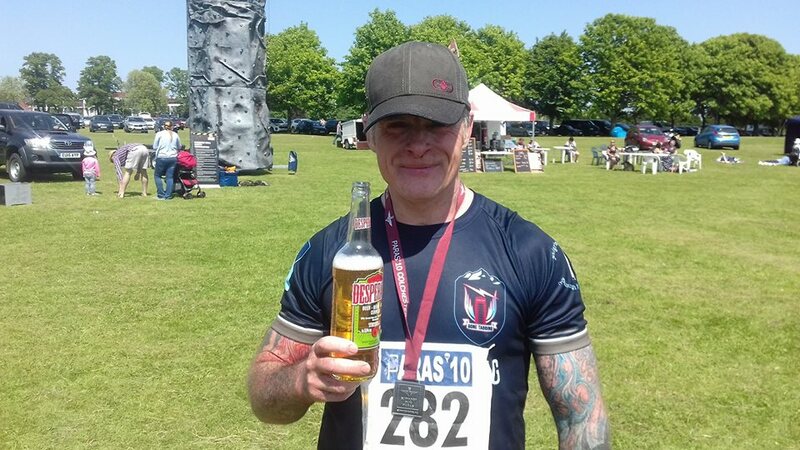 This weekend Jules will be taking on the Chester 100 and Paul Southernwood and Kim Treece will be rocking in Liverpool Rock n' Roll Marathon (Kim's first I think), plus there will be a whole host of Black Sheep at Merville Barracks in Colchester taken on the event that created this group - The Paras'10. Good luck and Big Love to all of you. Special wishes to John 'GB' Nicholson who decided to prove how nails he truly is by filling his boot with molten aluminium, not sure if he's watched Wolverine Origins, but that kinda sh*t doesn't always go well! Speedy recovery buddy (I'll spare everyone the actual feet pics)! Easter Weekend, the awesomeness was once again in full flow! 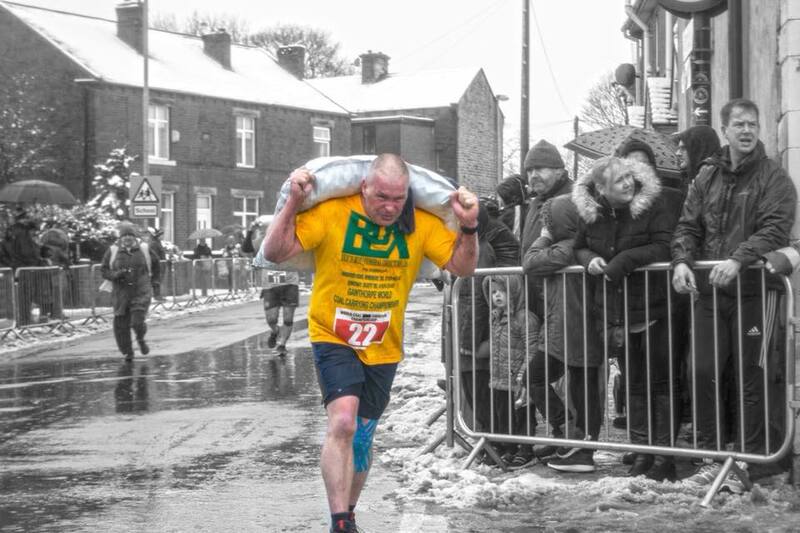 With both John 'GB' Nicholson and Steve Ellam taking on the Gawthorpe World Coal Carrying Championship. The Men carry 50kg for a distance of 1012m and the boys were among as usual WCC royalty John 'The Machine' Hunter and Andrew Shaw. Another epic outing from Jules at the L2M (Liverpool to Manchester) 50mile Ultra on Easter Monday, saw her, in some grim and very cold weather at times, managing to knock over an hour off last years time, bagging a gold medal in the process for coming in the top 100. Once again a massive congrats to you all, and for all of you continuing to push you own boundaries, keep pushing, you don't know who you're inspiring! Last weekend 24/25th March saw some pure epicness from Julie Valentine, Kim Treece, Paul Southernwood & Tracy Purnell! 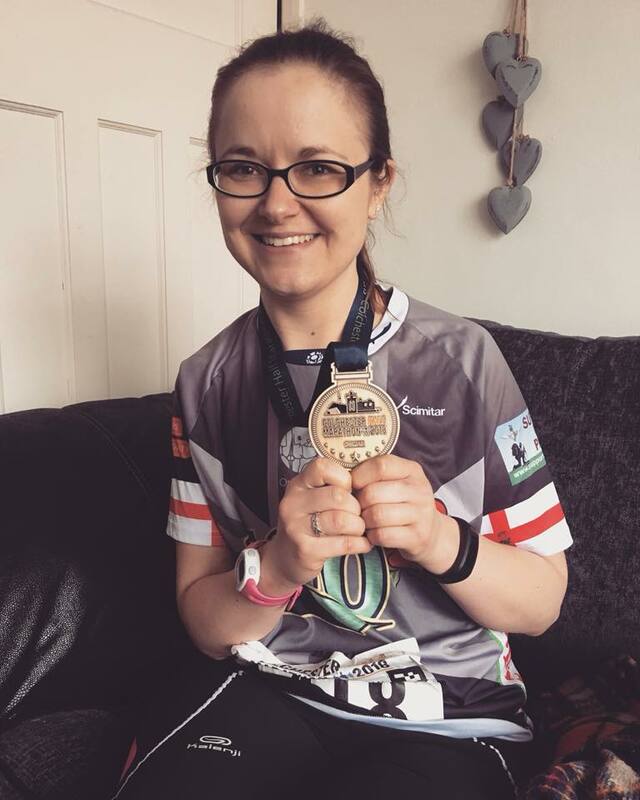 Jules took on the Outlaws Kielder Dark Skies Run and smashed out a fantastic time of 4:55:13, meaning she was 104/286 overall and 27/121 female, her determination to push her boundaries is a constant inspiration. Kim and Paul both took on the Colchester Half Marathon, both recording fantastic times, Kim 2:32:44 and Paul 1:53:05, awesome performances from both! Tracy has been working on her own project for a while, running (#40for40) 40 miles for her 40th birthday, as you do! 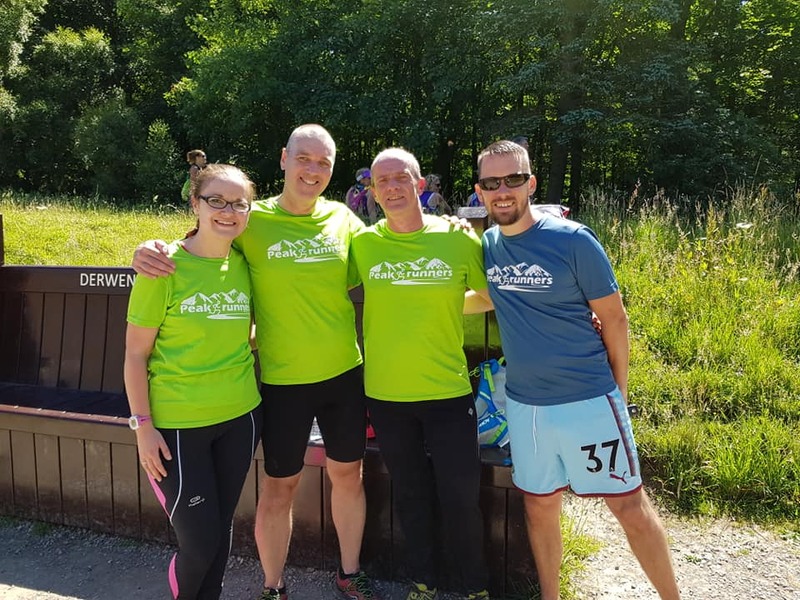 However, Tracy created the event to help support a cause close to her heart, Central Beacons MRT, so far she has raised £2,718.50 a truly amazing effort in every respect, as she also completed her run in 8:08:12! You can still support Tracy & donate here, please do because it's a phenomenal cause! A massive congrats to you all, and for all of you continuing to push you own boundaries, keep pushing, you don't know who you're inspiring!